Did you know that right here in our own country there are 16 million children who don't know where their next meal is coming from? That is the population of Los Angeles, Philadelphia, New York and Chicago put together! Unfortunately, the youngest victims of hunger in America are often invisible. Unilever Project Sunlight is helping to change that with their Share a Meal program to help turn the tables on child hunger in America. As a participant in the Share a Meal program, I have started an online food drive to help show that #BloggersCare about this important issue. 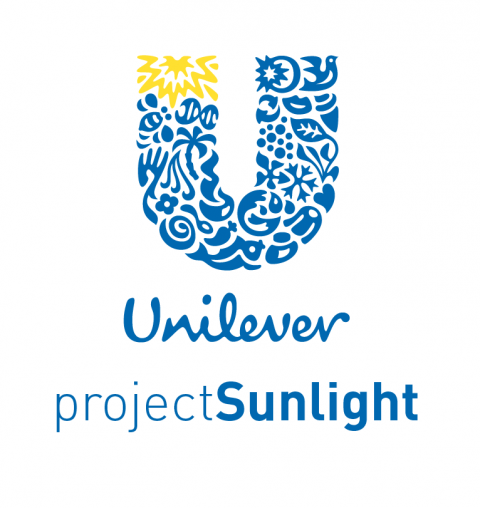 Unilever Project Sunlight is an initiative focused on encouraging people to create a brighter future for children – by taking small steps to live sustainably, use less and share even more. This fall the initiative will be focusing on child hunger and will be encouraging all consumers to get involved and uncover the reasons they share they share a meal. On October 13th, Unilever Project Sunlight premiered a documentary titled: Going to Bed Hungry: The Changing Face of Child Hunger. I encourage you to watch it, and visit the Project Sunlight site for more information on how you can make a difference. Years ago, my life wasn't like it is now. I was a mom of only three boys back then, and my husband was a drug addict. Even after I left him, money was a problem. I was a very young single mom of three struggling to put food on the plate. At one point I had no food whatsoever. It was then, through the kindness of food banks at local churches that I was able to put food in my children's bellies. I can remember myself living off of a box of angel food cake for an entire week so that my children could have the rest of the items we received that were nutritious and would help them get fed. It was a bad time in our lives, and it is only through the help that was given to me that we made it through. Now, I am in a position to help give back, and it is causes like this that I feel a personal connection with. Join Our #BloggersCare Online Food Drive! As part of the Unilever Project Sunlight #ShareAMeal program, I have decided to start an online food drive through FeedingAmerica.org. Basically, how it works, is for each $1 donated, 10 meals can be provided to those in need. Ten meals for less than a cup of coffee at Starbucks! Want to donate? Just go to the #BloggersCare Online Food Drive page on FeedingAmerica.org and make your donation today! If you donate, I would love it if you would stop by and let me know in the comments below. I would also love to hear about any ways that you are helping to #ShareAMeal with others, and don't forget to tweet, Facebook and Instagram using the #ShareAMeal hashtag to help spread awareness!